When you’re in an automobile accident, whether it’s a fender-bender or a serious crash with injuries, determining who caused the accident (fault) and how much compensation you deserve (damages) is no small feat. In North Carolina, the laws can be tricky to navigate. It’s important that you have an experienced personal injury attorney on your side. What are the laws regarding damages in North Carolina? Non-economic – emotional pain, distress, suffering, etc. In many states, there are limits to the amount of non-economic damages you can receive from an automobile accident. In North Carolina, however, there are only caps in place for medical malpractice suits and punitive damages. For medical malpractice suits, damages are capped at $500,000. For punitive damages, the maximum award is $250,000 or three times the amount of economic damages. However, if the wreck was caused by someone driving while impaired, then there is NO cap. It’s important to note that state laws can change at any time. That’s why you need to consult with an attorney before you proceed. In North Carolina, contributory negligence rule is used in civil cases. What does that mean? 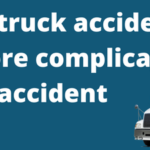 It means that if you were partially at fault in the automobile accident – no matter how little at fault you were – you cannot legally receive any damages. There are exceptions to this rule. If the defendant had the “Last Clear Chance” to avoid causing the wreck then you can recover. You may also recover where the defendant’s conduct was intentional or wanton and willful or where you were faced with a “Sudden Emergency”. Even if a jury or judge decides that you were only 3 percent at fault and the other driver was 97 percent at fault, you will not be eligible for damages, even if you suffer serious injuries or experience other negative fallout from the crash. North Carolina is one of only four states left in the United States – along with the District of Columbia – that follow the contributory negligence standard. 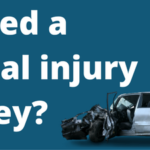 How long do you have to file a personal injury claim in North Carolina? In North Carolina, there is a three-year time limit to file a claim after an automobile accident. If you file a claim after that window, your case will likely be dismissed. However, if a death were involved then your time limit may be shortened to a two year limit from the time of death (not to go beyond 3 years from the date of the wreck). Similarly there are exceptions for infants (anyone below the age of majority in NC, which is 18 Yrs old) and incompetents. If you or someone you know has been injured in an automobile accident, contact the offices of Robert Armstrong today.